When buying a car in South Carolina, you must obtain certain documents from the seller in order to register and apply for a title in your name. The documents that you need include the bill of sale and vehicle title. You will use these documents to register and title the car you have purchased with the South Carolina Department of Motor Vehicles (DMV). 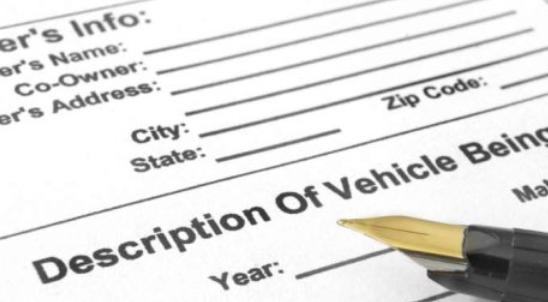 If you buy a car from a vehicle dealer, they will handle required paperwork for vehicle registration and titling for you. However, if you buy from a private seller, you will need to obtain certain paperwork from the seller in order to register the vehicle in your name. Continue reading this article to get more information about the paperwork required when buying a car in South Carolina. Vehicle title, which must be signed by you and the seller. A bill of sale, if there is no space on the vehicle title to include odometer reading and vehicle purchase price. Pay the 5% sales tax. You should not purchase a vehicle without a title. If the title is missing, damaged or lost, ask the seller to apply for a duplicate copy and sign it over to you. A vehicle title (filled out and signed). A completed Form 400 (Application for Certificate of Title and Registration). Payment for fees and taxes: $24 registration fee. $15 title transfer fee. Sales tax, which is usually 5% of vehicle purchase price. South Carolina has a lemon law that covers vehicles used to transport goods and people. This law covers vehicles for 12 months from the date of delivery from the seller or vehicles which have covered 12,000 miles or fewer. If you think you have bought a lemon, you need to notify the manufacturer to attempt repair. If the problems are not repaired, you can then request a refund and vehicle replacement.